of Paul Mackay to turn landmark occasions into lasting memories. 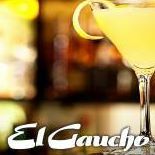 The El Gaucho team of captains, servers and General Manager Cooper Mills preside as Chef Matt Brandsey orchestrates the exhibition kitchen. 28-Day Dry-Aged Niman Ranch All-Natural Certified Angus Beef® Brand Prime steaks and custom aged Certified Angus Beef® Brand Tenderloin Filets, ribs, pork, poultry and the freshest seafood are all prepared to perfection over an open bed of glowing coals.